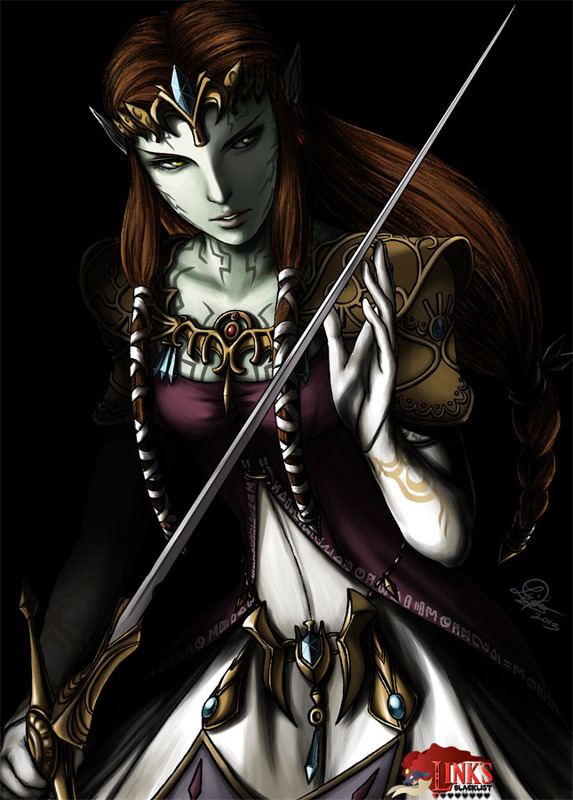 The possessed Princess Zelda, also known as Ganon’s Puppet Zelda is one of the final boss characters in Zelda: Twilight Princess. 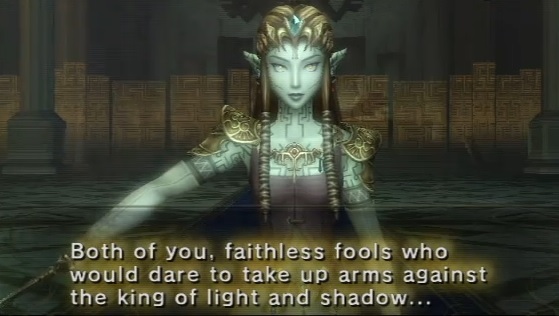 Midna will return to Zelda to herself after Link hit her about three times. 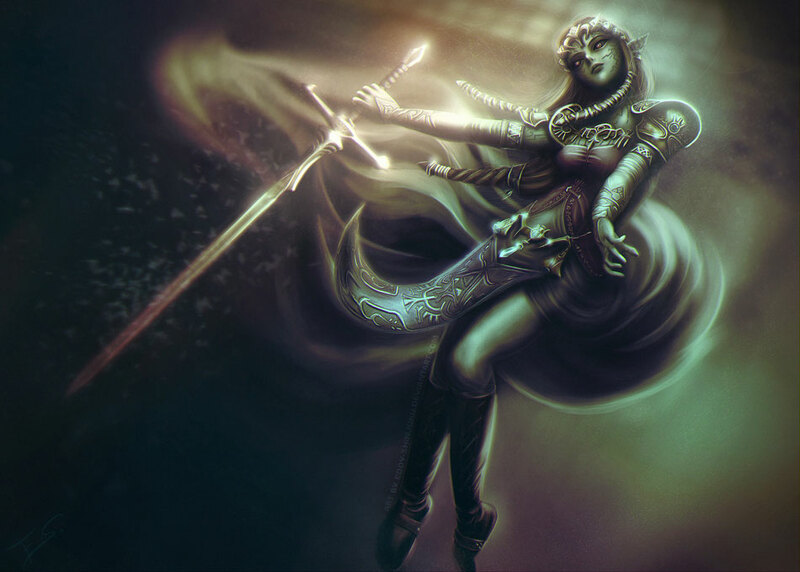 Lixin “Tixielix” Wang from Australia drew the Illustration of her with the target to give this “evil” version of Princess Zelda a more menacing look than she had in the game itself while being possessed by Ganondorf. “My inspiration was drawn from works by the Renaissance masters, in particular Caravaggio who did some of the most amazing pieces in the Chiaroscuro style. I particularly admired his sharp contrasts between light and dark, which gave the pieces an extreme dramatic sense, and also the subtlety of the details where some are faded into the darkness and draws you in closer. “I draw attention to the rapier with warm light to emphasize how the sword is handled in a symbolical manner: Upside-down. In cultural and religious belief is that when a sacred or emblematic item is positioned upside down it portrays antagonistic sentiment in a way it associates with evil, malignant or malevolent forces. Body posture inspired by Japanese horror movies; looking contorted, twitchy, decrepit and ‘creaking’, like those ghost in The Ring and The Grudge. The warmth emanate from the rapier somewhat portrays that it retains purity and it ‘weeps’ for it handler and begs for her to wake up, hence the ‘snowy’ looking ‘tears’. The colour palette attempts to depict tonal atmosphere of evil and haunting possession, it has this washed-out monotonal feel of ambiguity. 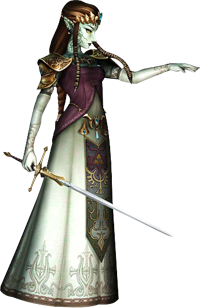 The possessed Zelda returned as a boss later in the Legend of Zelda: Spirit tracks as well, she uses a totally different set or attacks there though.